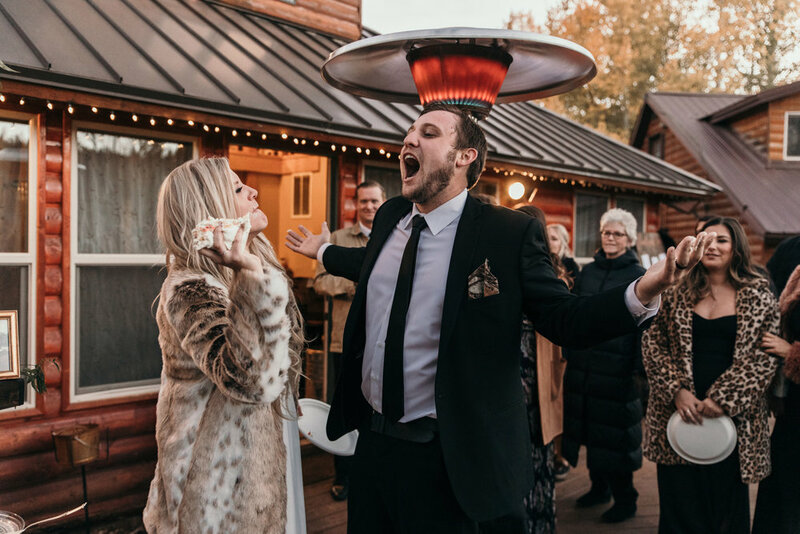 Well, it was only a matter of time until we put together a blog from one of our funnest weddings we have been a part of. Andy used to eat at Tony Pepperoni’s as a kid whenever he would surf in Oceanside and after stumbling upon their Instagram he realized that one of their managers was engaged. 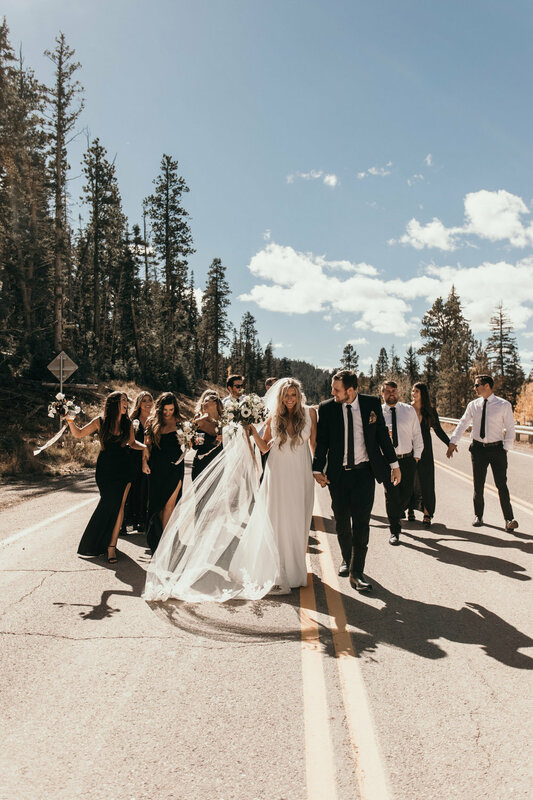 Fast forward a few months later, we were photographing their wedding in the mountains of Utah, and sharing stories with the owner of the pizza restaurant that brought us both together. 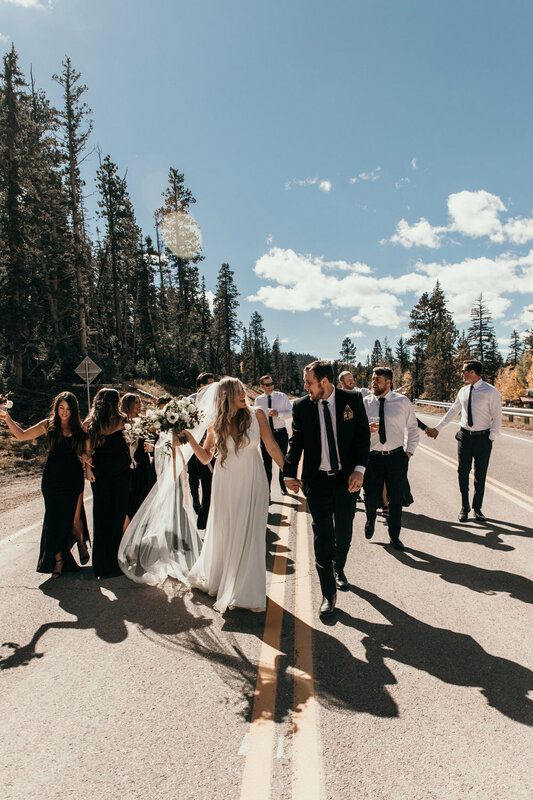 Brian and Sarah’s wedding couldn’t have been any better; from close friends and family that made it out for this destination wedding to the entire bridal party getting ICED while dancing on the burnt orange leaves that covered the dance floor. 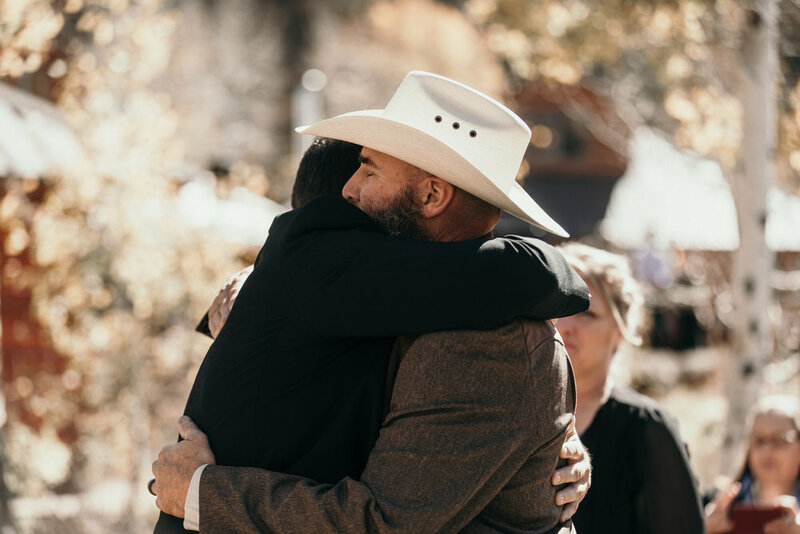 We are so grateful that we were able to be a part of such an important day for Brian and Sarah, here are a few of our favorites from their wedding day. A: Our day was October 13th, 2018. It was really special because we started "officially dating" on that date 5 years ago, and it is actually my Grandmother's birthday.It was always super close to my heart that Brian and I started dating on that date because I admired my Grandma. I was named after her and everything! I felt like she was watching over us and our day the entire time! A: Brian and I love the mountains! We kind of just let the mountain and the trees do the decorating. We kept it super simple. A dance floor on the deck, and down below in between some cabins we all stayed at for the weekend we had our dinner and reception- complete with fire pits, aspen trees, and a ton of market lights of course. 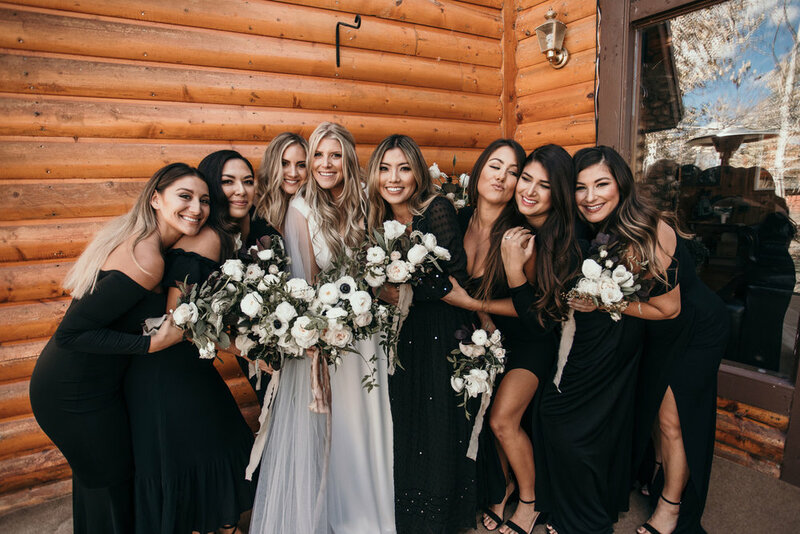 A: The florals were done by my best friend, Sae who owns her own floral company- Ophelia Floral Co. She made me a beautiful all white and dark green bouquet. She covered the arch we got married under in the same white florals and we had all dark greenery & bud vases down our dinner tables. 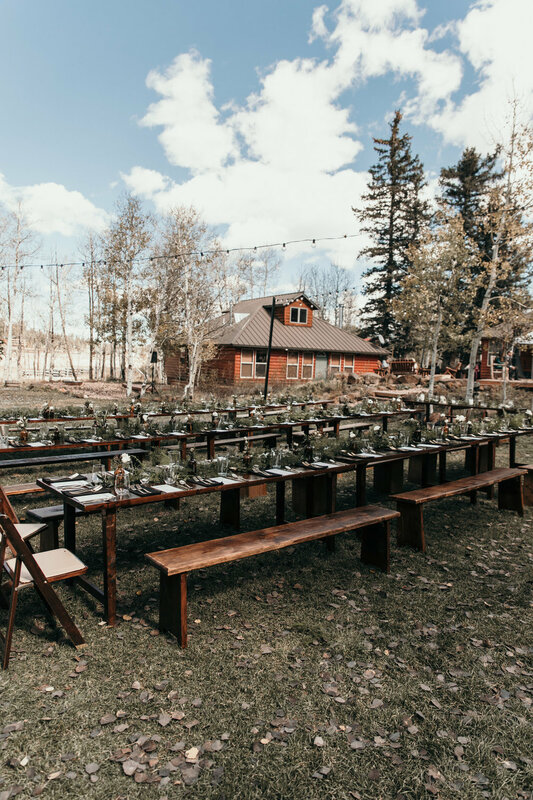 The florals played a HUGE part in our wedding, because it made everything that much more beautiful! 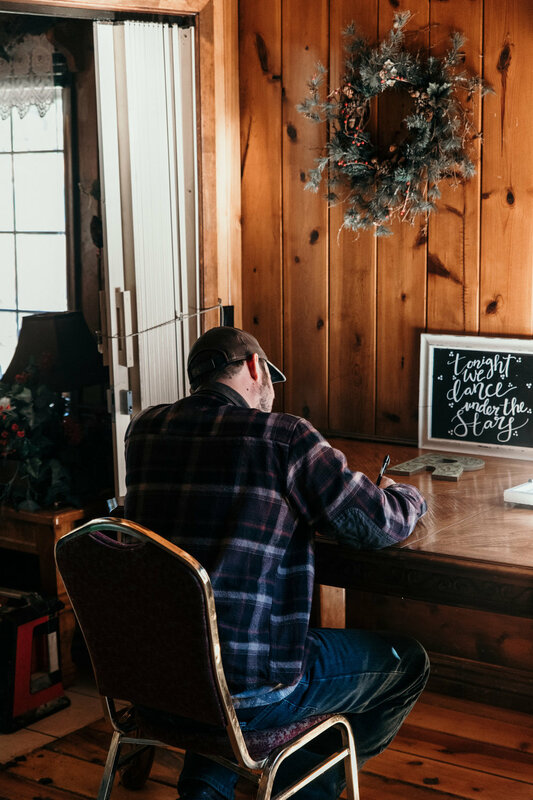 A: My favorite part of our wedding was that we got everyone their own pint or stemless wine glass with a tiny pine tree & their name delicately etched into them. They were beautiful, and marked everyones place setting! A: I went for a super simple white dress. 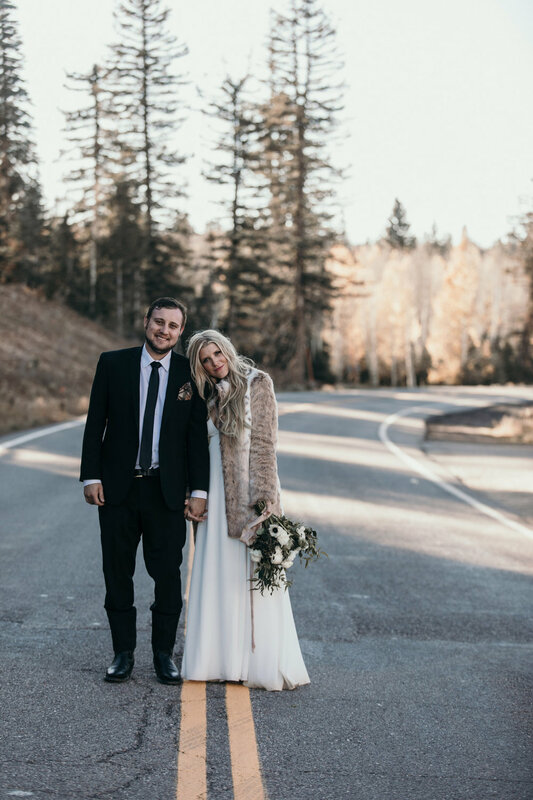 I wanted simple because I wore a detailed, lace Toni Federici veil during the wedding, and since it was up in the mountains, a fur coat in the evening! Didn't want to have too much going on at once- so kept the dress simple! A: Brian and I met at my work! I was a "beer-tender" at the time and he was a customer! It's a pretty great story, because he asked me out almost everyday for 6 months. When I finally said yes, it was the best decision I ever made!He proposed to me after my nephew's birthday party. It was my favorite kind of day, one filled with friends, family, baseball at the park. After the birthday party, he asked me to stop and get a drink with him alone before we met everyone at a brewery. He pulled off to a park, and had a tailgate set up for us, complete with drinks! He started telling me how important I was to him etc, and it led to his proposal! It turned out meeting everyone at the brewery later was a huge party for us! 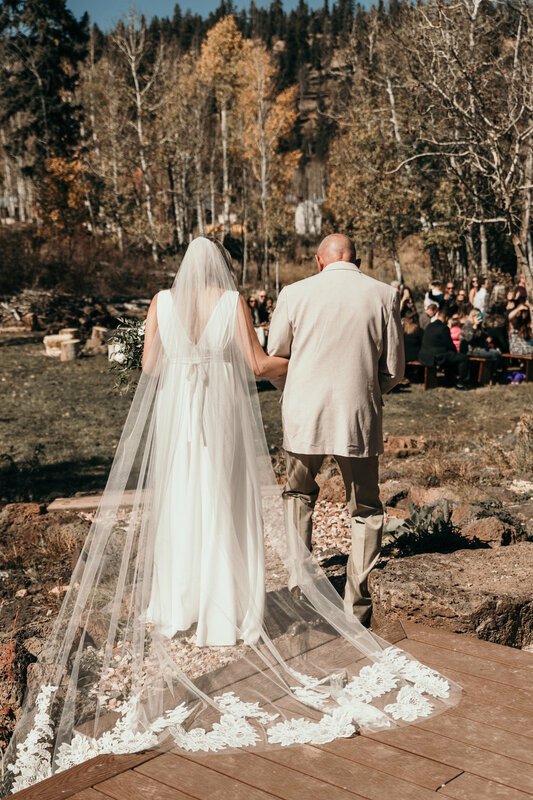 A: Absolutely walking down the aisle with my dad and seeing Brian standing up there. I knew I would lose it, since a girl waits her whole life for this moment and I totally did, my dad and Brian did too! It was a really amazing moment for us. 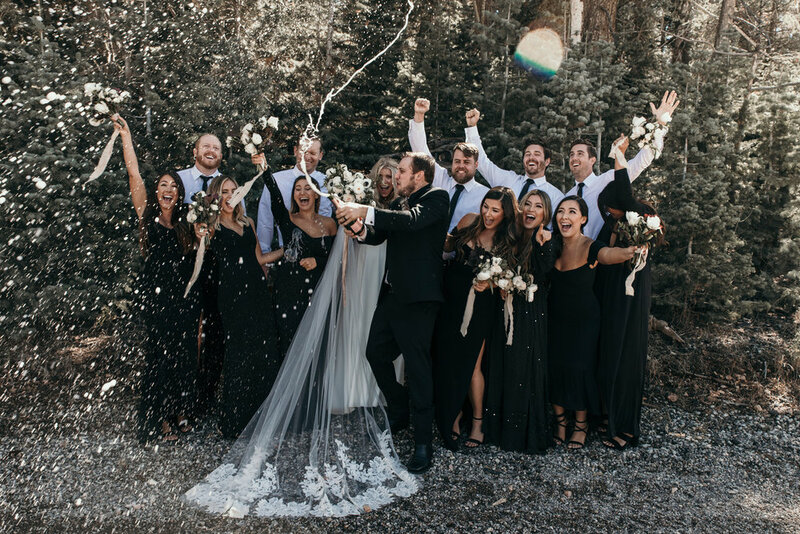 Then after they announced us husband and wife, Semi-Charmed Life by Third Eye Blind starting blasting and confetti popped everywhere. That was so great as well. A: RESPECT! We both think respect is huge in a relationship. It ties into every part of our marriage. 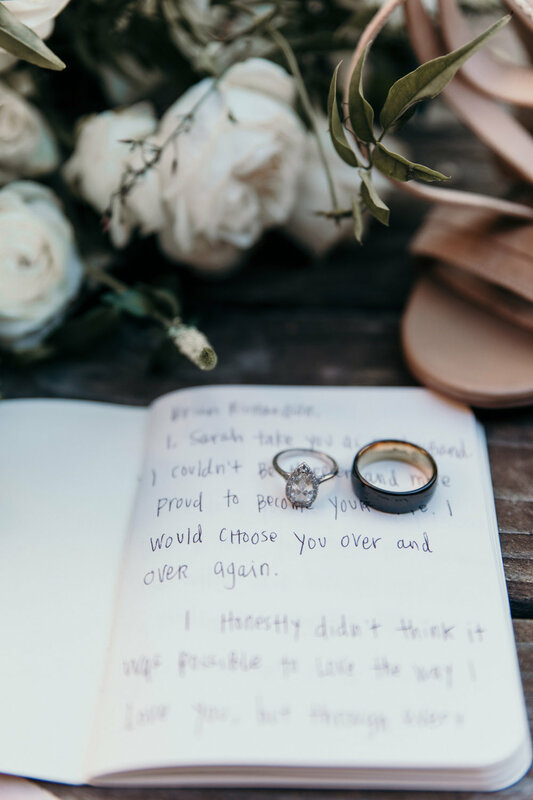 When it comes to wedding planning, or every day situations, since we respect each other so much, we are always trying to make each other happy. We never put each other down or purposely hurt one another because we have so much respect for each other. It's what keeps our relationship happy!